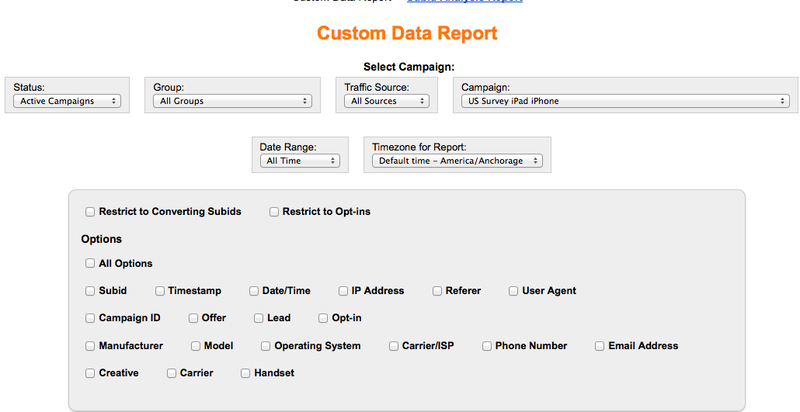 You can generate a report with all options, or select options. Whichever you prefer. 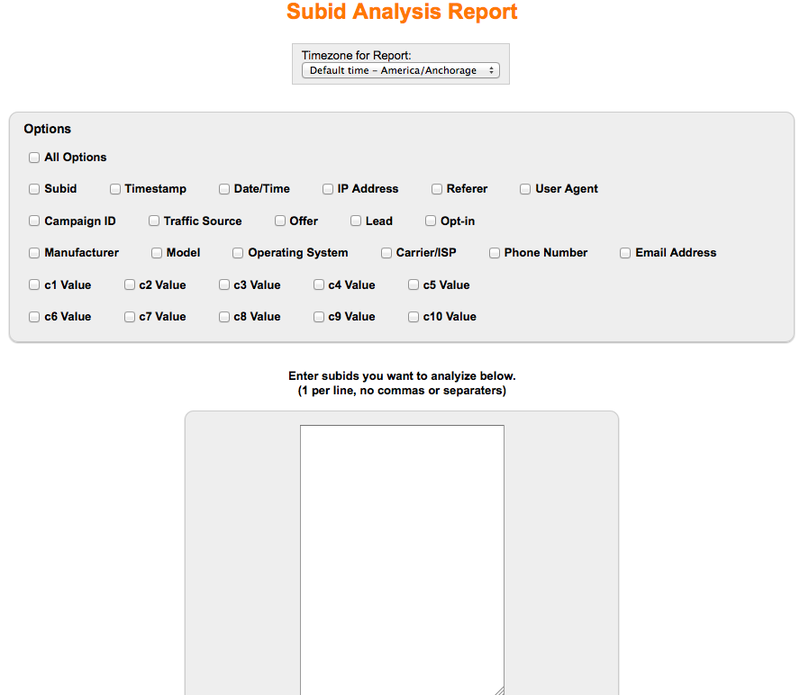 Simply choose your appropriate reporting options and paste enter in your subids that you want to analyze. (1 per line, no commas or seperaters). Click Create Report. Done. 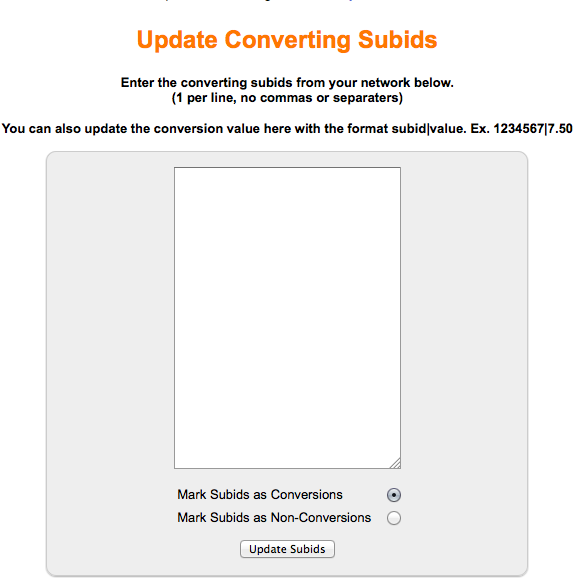 Before updating your converting subids, you optionally have the ability to choose between Marking the Subids as conversions and/or Marking the Subids as Non-Conversions. Simply click on “Update Subids” and your data will report back to you accordingly. 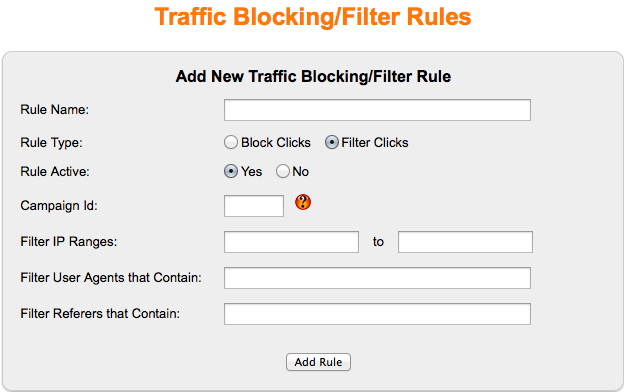 Updated CPC – Optionally you have the ability to update your cost per clicks. 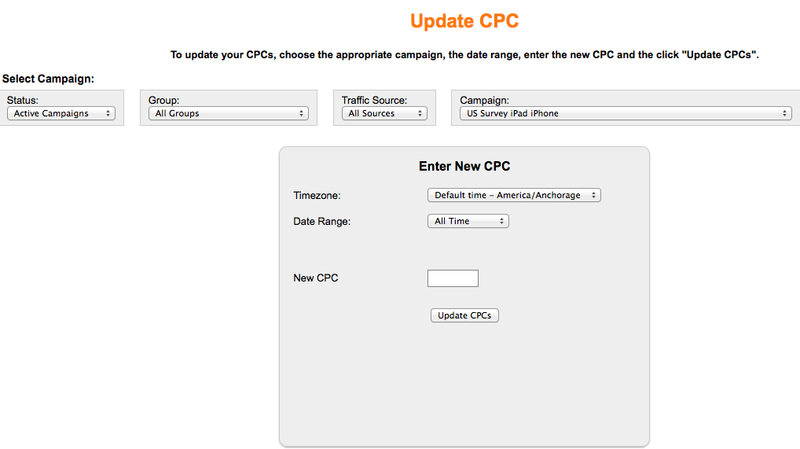 To update your CPCs, choose the appropriate campaign, the date range, enter the new CPC and the click “Update CPCs”. Statistics Values will show up for Logged, Recorded and Filtered. You also have the ability to set active/inactive as well as edit or delete this data.